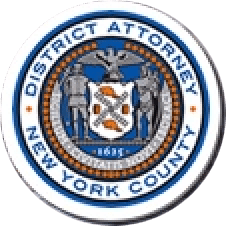 The Manhattan District Attorney’s Office today released Models for Innovation: The Manhattan District Attorney’s Office, 2010-2018, a comprehensive report on the development and implementation of innovative prosecution and justice reform strategies undertaken by the Office since 2010. The release of the report coincides with the Office’s sixth Symposium on Intelligence-Driven Prosecution, a two-day summit where prosecutors and criminal justice practitioners from across the U.S. share best practices and learn about the Office’s work with an eye toward replicating its initiatives in their own jurisdictions. Establishing dedicated bureaus and units to harness the collective resources of the office in order to tackle 21st century crimes, improve the handling of specialized crimes, integrate data-driven approaches, and establish best practices for working with victims. The Symposium on Intelligence-Driven Prosecution draws prosecutors and law enforcement officials from jurisdictions across the U.S. to focus on the future of criminal justice, share best practices, and develop 21st-century strategies for crime reduction. The sixth Symposium on Intelligence-Driven Prosecution centered on the theme of innovation in prosecution, and featured presentations and panel discussions on reform measures developed by the District Attorney’s Office. Topics included alternatives to incarceration, reentry initiatives, and the intersection of public health and the criminal justice system. Approximately 180 attendees from nearly 50 agencies and organizations participated in the event. The Symposium was organized by the Manhattan DA Academy, which identifies best practices in public safety and criminal justice reform, trains prosecutors and other stakeholders, and facilitates education programs for formerly incarcerated New Yorkers.